... of garden centers who advertise "wildflowers"! Following is an email I'm writing to a few garden centers I looked at online, recently. "WILDFLOWERS does not mean NATIVE flowers! That moniker just draws people in. They think they’re going to buy plants that are healthy for the ecosystem. And getting the people’s zone number doesn’t mean that you will suggest wildflowers NATIVE TO THAT ZONE. It just means that you will sell them whatever will grow in that climate even if it’s from China or the moon! 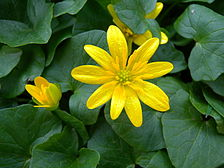 Or, Lesser Celandine, from Europe and West Asia: a pretty plant with dark green leaves and bright yellow flowers, actually sold in some nurseries! This hugely upsets the balance of the ecosystem so that birds, animals, insects and pollinators who reside in their native habitat no longer have the sustenance or connectivity they need. Many species rely on very specific plants for food or to host their young. But, the area is taken over by alien plants that cannot support this wildlife. Thus, numerous species have died out! Here, in New Jersey, many of us are working hard to restore native wildlife habitats, backyard by backyard. We want garden centers to support this effort by advising customers which plants BELONG in their zones, not which alien plant CAN grow in their zones! 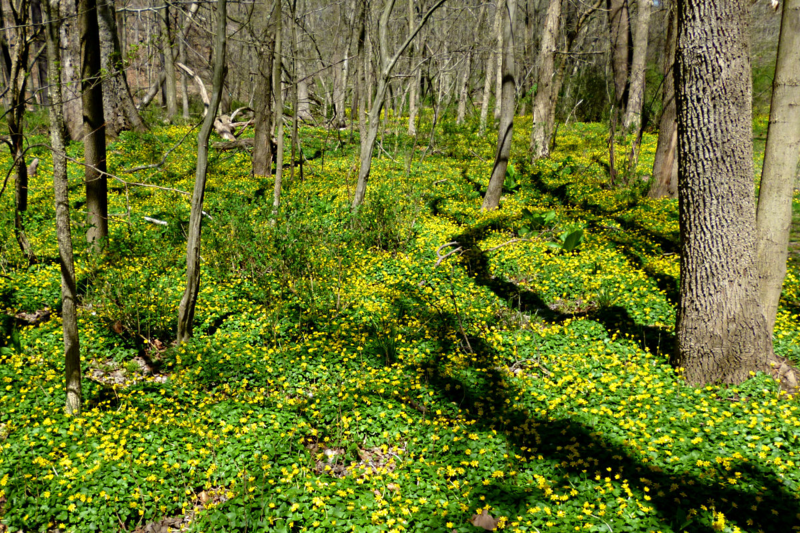 It’s easy to plant natives, but it is a daunting task to get rid of the invaders! What we need from these vendors is an understanding of this dire situation because it impacts everyone of us too. They've made fortunes from selling exotic outdoor plants from every corner of the world. We bought them! Now, we're getting to know better as we see the problems it has caused. Please, BE AWARE!!! Great post! Maybe, if you convince your local nurseries to place the state or country of origin, it can go viral. 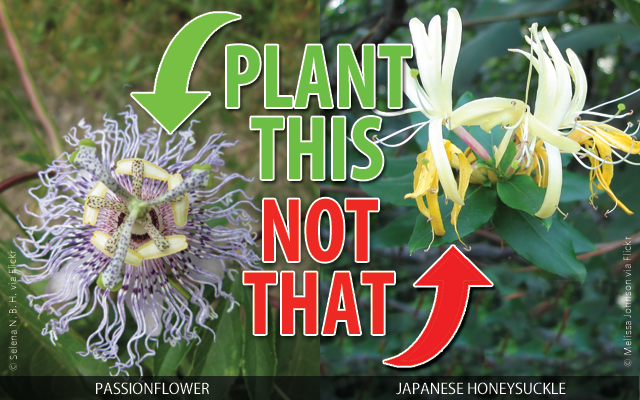 Helping people choose native plants over imports, may be a beneficial selling point for growers. That's a damn good idea! Thanks, Derek. I'm thinking of creating a list of non-native invasive plants versus a list of native plants for the northeast and posting it. At least the main ones. There are so many! Excellent post! I have some of that Japanese honeysuckle taking over a fence in my back yard. I will definitely do more research on this. 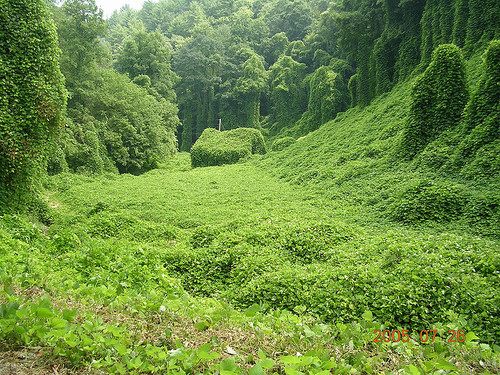 I do know that the local garden club has been trying to clean up the Kudzu problem in Little Rock for years. 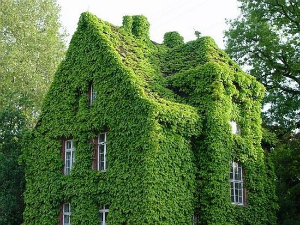 It just takes over and kills all of the trees. Congratulations @goldcat! You received a personal award!